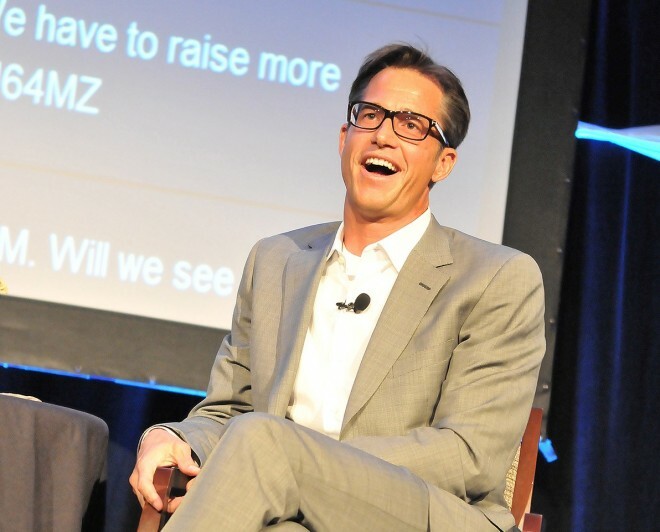 Since then Barton has co-founded real estate data company Zillow and job search startup Glassdoor, and he’s invested in a handful of others. He also sits on the boards of eight companies, including Netflix. In large part, the companies Barton is involved in hew to a simple yet powerful idea: connecting people to information previously unavailable to them. Wired Business sat down with Barton in San Francisco’s South Park to talk power to the people, Google Glass, Microsoft, what the hell happened with the Qwikster debacle, and why picking fights with entrenched industries is a marketer’s dream. WIRED Business: You describe the thesis that led to founding Expedia in the mid ‘90s as, “power to the people.” What does that mean? WIRED: You worked for Steve Ballmer at the time. Was he keen on getting into the travel business? WIRED: As Expedia grew inside Microsoft everyone had to make a decision about what to do with it. How did that go down? WIRED: Except when you asked Ballmer for $100 million in marketing funds right? What did he say then? WIRED: How has your notion of power to the people evolved since 1999 when Expedia was spun out, and now that the smartphone has taken center stage? WIRED: Are you going to develop a Zillow app for Google Glass? WIRED: What are you looking at next? I am pretty intrigued by the sensor stuff and healthcare. I have a startup that is roughly in healthcare, on the edges of it. It’s called RealSelf.com. It’s also a “power to the people” play. It’s kind of TripAdvisor for cosmetic procedures. It’s become really popular. It’s serious; it’s basically women talking to other women and physicians about their hopes, fears and realities of liposuction or Botox or breast augmentation or whatever it is. WIRED: You are chairman of several of your companies, but you don’t act as CEO, which allows you to move between your portfolio companies. How does that work, and what does it teach you? Barton: I am able to go where I am needed, and where I am interested. I do lots or reviews and coaching. I end up putting people from my companies together a lot and strengthening these crosswise relations so they can share. I find inside of a big company like Microsoft people’s willingness to work across groups with their peers is so low. But outside, when you have separate companies doing interesting things getting the digital marketing person together from four different companies is easy. They are hungry to talk to other people. And it is because there is no internal political competitive threat. There is no boss thinking, I don’t want my people talking to them because they might steal them – or whatever. Big company cooperation works way better at small companies. So I do a lot of that. WIRED: You sit on the Netflix board. After screwing the pooch with Qwikster, Netflix seems to be roaring back on track. What did people underestimate about Netflix in the Qwikster aftermath? Barton: I always thought they would figure it out. I felt bad that I didn’t. I was probably the most marketing oriented person on the board. I should have been, ‘guys we’re maybe pushing it a little too fast here.’ And so I kind of beat my own self up. But Reed (Hastings) beats himself up plenty. The great thing about Netflix is that it behaves like a startup. I love that board, because they actually take big swings and make decisions today that are for ten years out. They are decisions that maybe Wall Street is not going to like. That’s the way that companies should be behave, and too few companies do behave. I love that. WIRED: Glassdoor, which you co-founded just about five years ago, seems to be on the same trajectory as Zillow. And in the same way that the real estate industry panicked when you guys showed up, the jobs market is equally uncomfortable with the information Glassdoor users make public about their employers. Do you just like to pick fights?